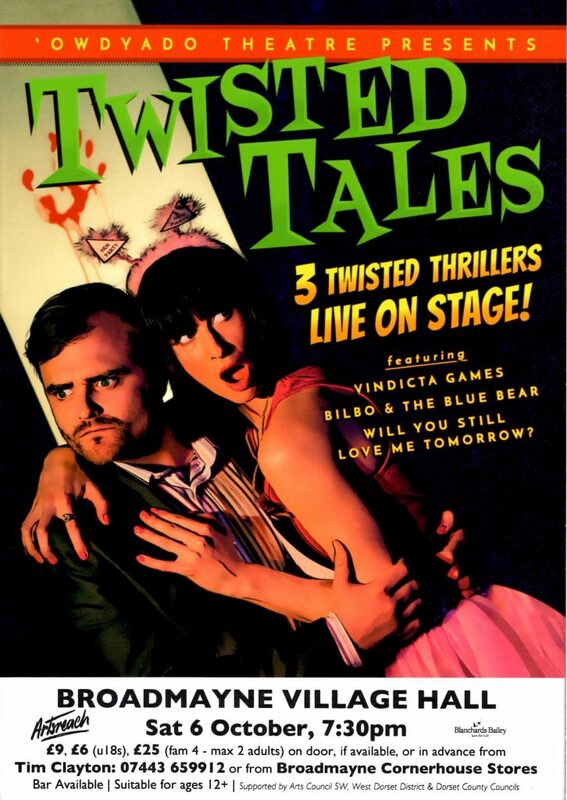 Inspired by cult classics including The Twilight Zone and BBC’s ‘Inside No 9’ expect a comic thriller of a night with not one, not two, but three short plays guaranteed to leave you on the edge of your seat. This is the hugely popular ‘Owdyado Theatre’s fifth touring show and gathers together three distinct and distinguished writing voices. Join us for an anarchic night of Twisted Tales and consider “how far would you go to get what you want? Who is the bandaged man, obsessively in love and held captive inside an upmarket flat, counting down the seconds until it’s time for HER to return and the “thing I can’t say” to begin? How will two children’s’ TV presenters dispose of a corpse before time runs out? All they have is their wits, their arts & crafts skills & a foul-mouthed, criminal genius glove puppet.